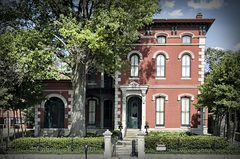 The Brennan House is an alternative to having a gathering at a Private Event or Wedding Ceremony in Louisville. We specialise in delivering a comfy and comfortable environment for you and your visitor to experience. Our upscale chic area will provide you a distinct ambiance which each person is definite to bear in mind. We can accommodate a large range of gatherings and may adapt the gap to your necessities. Our contemporary decor along with present day gear to comprise flat display televisions, Bose encompass sound process, gaming programs and Ipad/Ipod connections make The Brennan House an perfect venue for any social gathering.